For a complete guide to raising your Beaglier puppy into a well behaved adult dog, we recommend reading a copy of The Beaglier published by Designer Books Publishing. It is packed full of general information about Beagliers and goes deeper into specific topics such as Beaglier characteristics, training, health, grooming, feeding in addition to much more regarding looking after your Beaglier. The book also contains information and detailed instructions to help adjust your new puppy to your home. Beginning from their first night, to the first weeks and months and explains the steps and easiest method for toilet training. Basic obedience training for your Beaglier is also covered and is a must read. 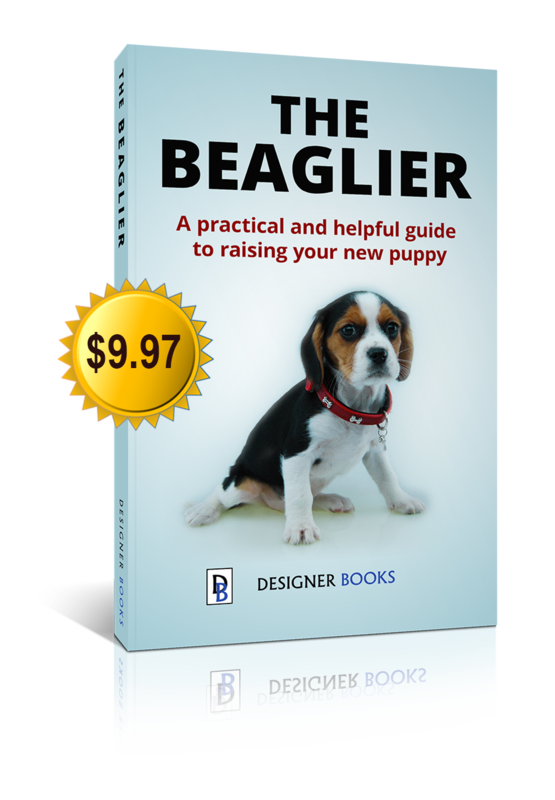 If you are planning on bringing a Beaglier into your life or just want a great resource to help you decide if a Beaglier is right for your family, this book is what you are looking for. With over 140 pages full of information about Beagliers, this is the most in-depth resource available about this popular family dog breed. The book is delivered in various electronic formats to be read on Kindle, iPad, iPhone, PC and most other computers and reading devices and is sold via Gumroad for instant delivery to your inbox. Just click on the book to get your copy today.